We know that the creator of a work that physically exists—fixed in a “tangible medium”, either physically or digitally—automatically owns the copyright to that work. We also know that the best way to prove this ownership is to register your copyright with the US Copyright Office. But what about that little circled “c”—the copyright symbol? Image courtesy of MikeBlogs. Some rights reserved. Do I Need to Use the Copyright Symbol? The short version: No. Not with any new copyrights since the Copyright Act of 1976 went into effect, anyway. Before that, the copyright symbol was required; in order to be protected, you had include a copyright notice (including the symbol). That requirement has since been removed; if someone puts their name on your novel and tries to sell it, as long as you register your work with the US Copyright Office, it doesn’t matter if the copyright symbol is present or not—you’ll be able to press charges anyway. Should I Use It Anyway? 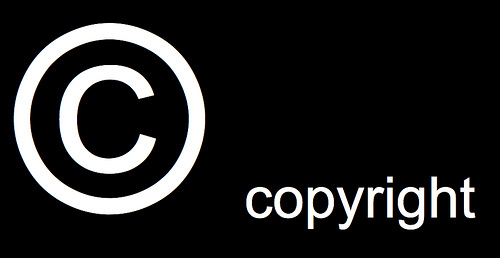 While the copyright symbol is no longer a legal requirement, you should consider using it regardless. While claiming not to be aware that the material was copyrighted is not a legal defense, copyright claims are handled on a case-by-case basis. If you do include the copyright notice on your work, your infringer is going to look pretty stupid telling the court that he or she had no idea it was protected. If the symbol is present in your work, it might just be the difference that makes a potential infringer look elsewhere for easy prey, prey that doesn’t appear to take their work as seriously as you do. How Should the Copyright Notice Appear? Copyright © 2011 [Owner’s name]. All rights reserved. Most word processors will automatically convert the parentheses-enclosed “c” to the copyright symbol we all know and love.